So, last Summer I went on an awesome trip (said in American accent, of course) to Texas over the end of June (I was in Dallas for my birthday – that you can read about here) and early July for a friend’s wedding and 4th July celebrations. I realised that with all the chaos/distraction of moving house after we got back, I didn’t share it on the blog nearly as much as I meant to. Now that life has well and truly calmed down I’m back into catch-up blogging mode and wanted to share a few words and snaps about one of the hotels we stayed in whilst in Austin Texas – the Lone Star Court. Which isn’t bad timing since it’s not too long until SXSW kicks off and the tech and music world descends on the City of Austin. Whilst the main reason for being in Austin last July was for the beautiful wedding of my friend Melanie and her husband Russ (seriously, so beautiful – like a Pinterest dream) we got into town a few days early to explore Austin a bit and generally relax ahead of the weekend long celebrations. So before we headed to stay at the main wedding hotel we booked in to stay at the Lone Star Court Hotel in the Domain area of the city. If you don’t know Austin then it’s worth noting that The Domain is a little out of town on the North Side of the City. The Domain is a new(ish) outdoor mall/shopping centre – it has everything you could want really, shops, restaurants, a bowling alley – plus Top Golf a stones throw away. More on that in a moment. The only downsides to The Domain are that it’s a little far from the heart of the city and does lack some of the character and personality that makes Austin so special. But for a few days of just chilling out and doing some fun things it was absolutely ideal. Plus, it’s close to Super Target…plus two other smaller Target stores… and Sephora. So for retail, it’s pretty much all around awesome. 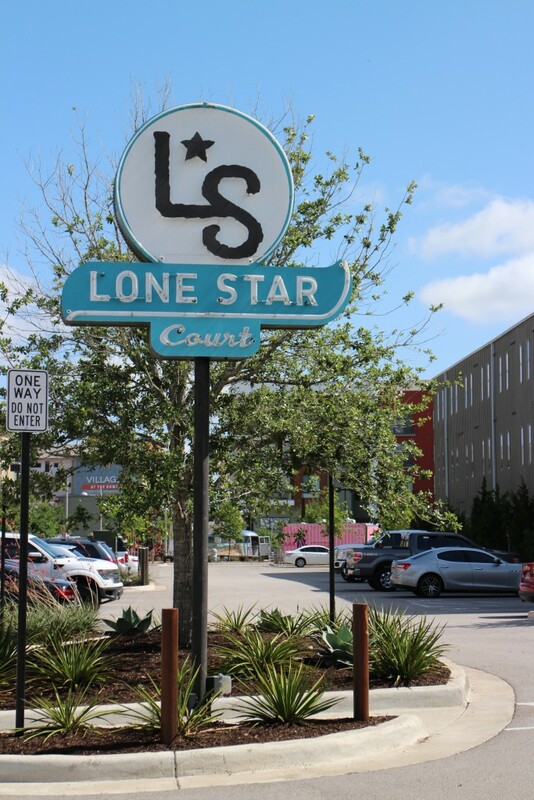 The thing that totally won me over on the Lone Star Court hotel was the style of it – far from the fairly generic coorporate hotel that are all over the US it really felt like it had been created with the personality of Austin and Texas in mind. 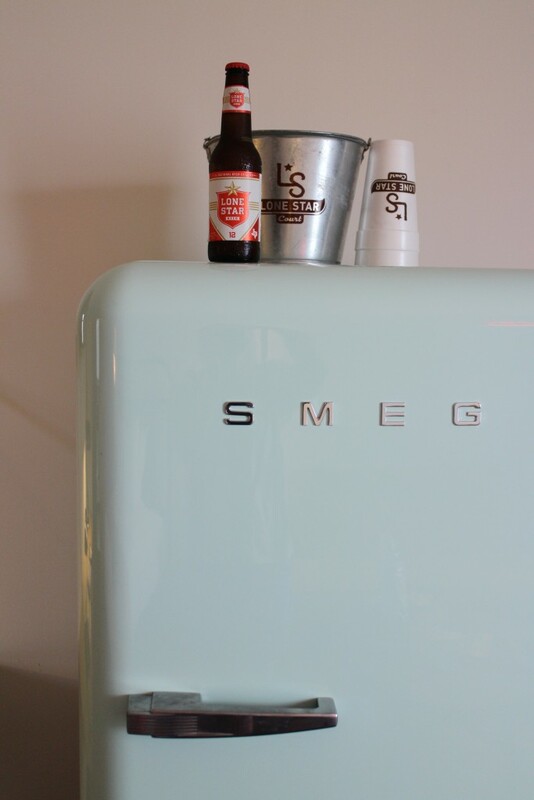 From the colours (HELLO mint Smeg fridge in the room) to the local Texas beers being part of the mini bar offering. The barn style doors to the bathroom and the bull horn style bed side lamps. There were touches of Texas all over this place. 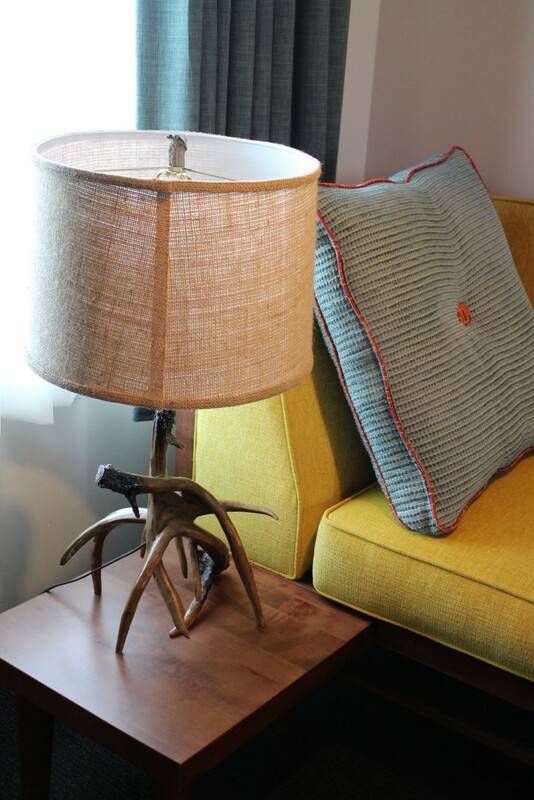 But in a really cool, modern way – not in a cliche cowboy style. The splashes of sun-bleached turquoise alongside the orange all over won me over on first glance. 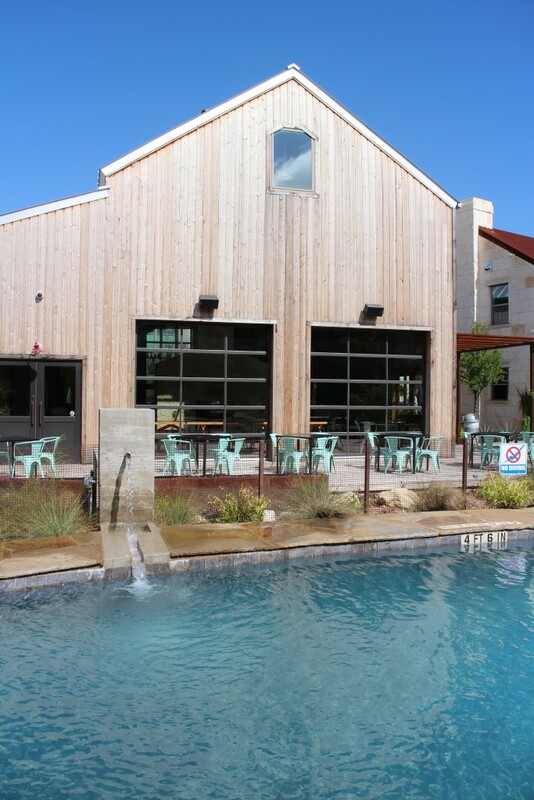 The Lone Star Court really does have that cool Austin Texas vibe to it – beyond just the design and look of the place. They have live music in the hotel bar area and an open fire pit. 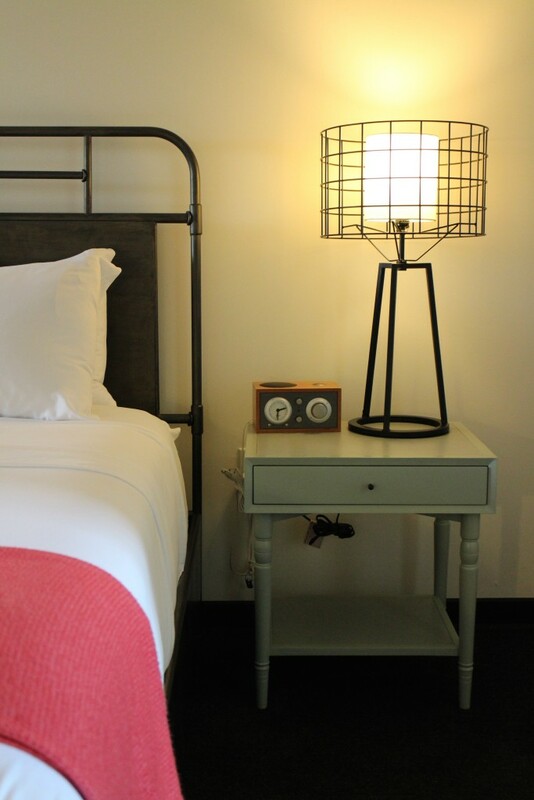 It has a really relaxed atmosphere and small boutique feel to it – despite being bigger than the usual boutique hotel. In terms of facilities or ‘stuff beyond the room’, there’s a small pool that’s pretty quiet so quite a nice relaxing place to soak up the Texas sun and just chill out. There’s a meeting hall – and I understand it’s a space being used for some corporate conferences or company meetings. 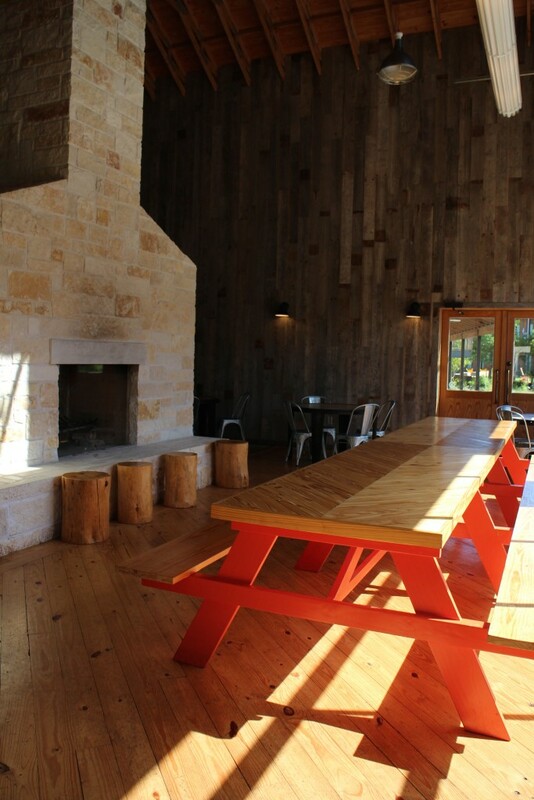 Then there’s the bar/dining hall – this is a really nice space. Very sociable feeling with long benches or smaller tables. There’s a big fire place in the middle that’s stacked with board games so you can make it your home for the night if you just want to relax with a few drinks and play games. The space also has windows that when it’s not quite as roasting as high Summer open up so you can spill out on to the pool side area. The breakfast (included) is also good – with a mix of hot things and cereals. All very relaxed in a ‘help yourself’ buffet style. 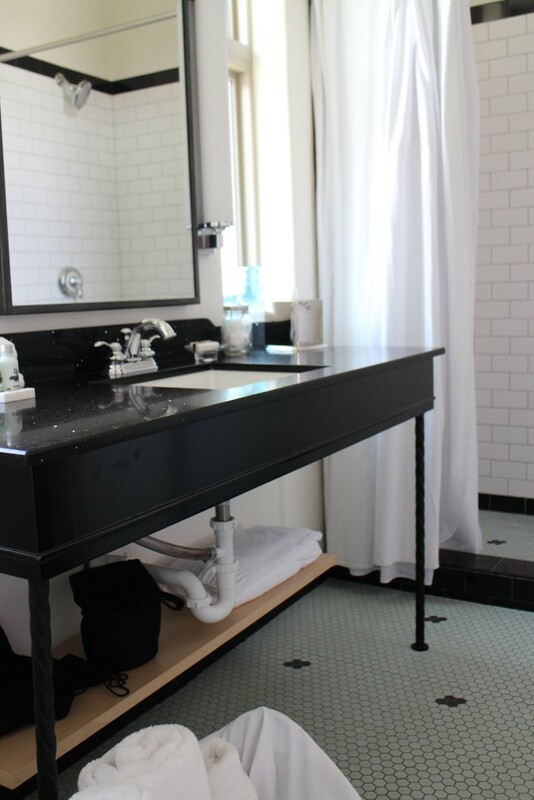 The rooms and public areas all have high speed wifi, the bathrooms have nice toiletries (by California Modern Apothecary LATHER), beds are super comfy and the air con worked almost too well – which was ideal in the mid Summer heat. 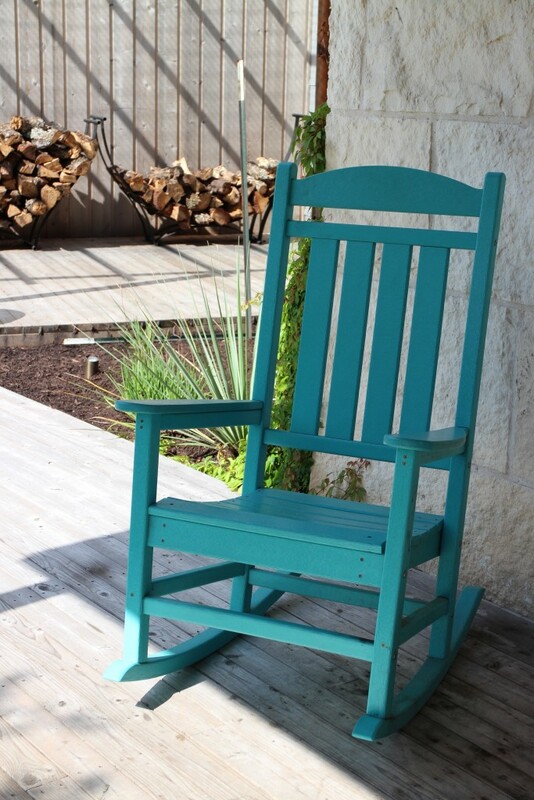 The Lone Star Court is a great hotel in Austin if you want to make your base a little further out of town – so if you’re going to visit places like Jacob’s Well or Lake Travis (more ideas for things to do in Texas here). Or maybe you just want a bit of a split of out of town chill time and down town – which is exactly what we did and it worked a treat. It takes around half an hour to get downtown – depending on traffic which can be pretty bad in Austin. The good news is that Uber works there too – so we used that to get downtown when we were heading there for drinks with friends – I think it cost around $25 to get downtown at rush hour. But the hotel can also call a local cab company if you prefer. I mentioned how it’s on the edge of The Domain shopping centre – which has basically every shop you could want (bar Sephora FYI) plus a few nice places to eat along with the things to do like bowling and top golf – both of which we tried and was great fun. Top Golf was awesome by the way and I’m NOT a golfer – it’s basically like bowling for golf… with targets where you aim for a rack up points whilst having drinks and general American snack food being served. Would recommend if you have one nearby (they have them in Romford and Watford around London FYI – not quite as nice as the Texas sun…but same concept!). Oh and there’s also a great beauty salon/spa right across the road from the hotel, where I went for a gel manicure/pedicure ahead of the wedding – would recommend. Also if you’re more fashion-blogger inclined than I am then the hotel does have a tonne of fun settings for photos… hence the photo spam for this post! Don’t get me started on the retro airstream cupcake stand that’s open Thursday-Saturday…. How beautiful are your photos? I really want to book to go away now! Ahh!